Learn Simple Self Defense Moves without the need of learning any special techniques or hard training. 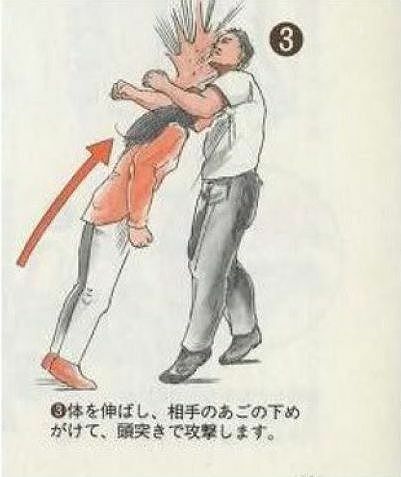 First important thing to learn is that the attacker depends mainly on terrorizing you and doesn’t expect any reactions from your side, due to the great fear that will control you the minute the attack takes place. 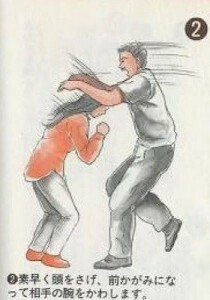 You have to have confidence in your capabilities even if you are not trained on self defense. 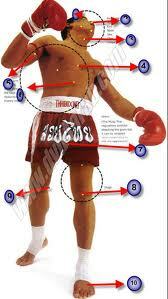 All you need is confidence, courage, cautions and fast consecutive moves. You have to do the following moves very fast and consecutively to make sure that the attacker won’t hit you back. Don’t give the attacker the chance to react back. 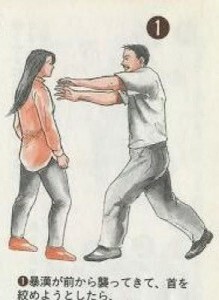 First, take a deep breath, move your right leg to the front and strongly bend your forearm as it is shown in the image. 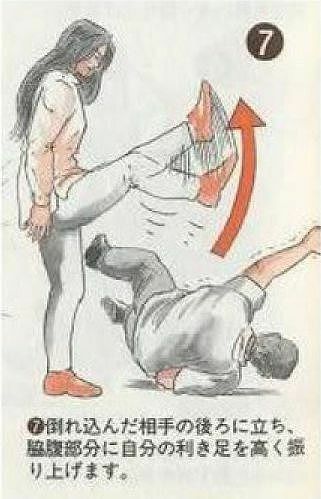 Surprise the attacker with a quick going down as it is shown in the image. 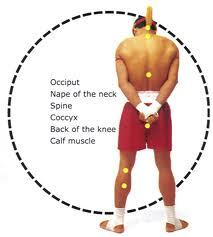 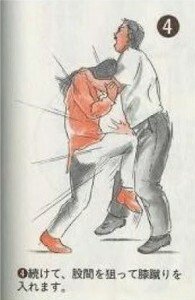 Go up very strongly and very fast, by hitting the attacker’s chin with your head a it is shown in the image. Hit the attacker so hard with your knee in the male sexual organ, at the same minute you are holding his arms as it is shown in the image. The previous hit against the attacker will be so painful that will make him bend or fall down, which gives you the chance to hit him so hard on his back with the bone of your elbow as it is shown in the following image . 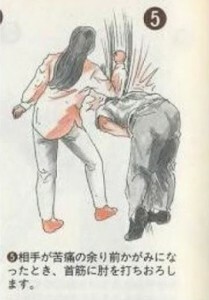 Hold his head strongly as it is shown in the image and hit his head against your knee many times to make sure that he will fall down and won’t be able to stand up. 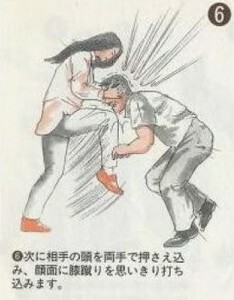 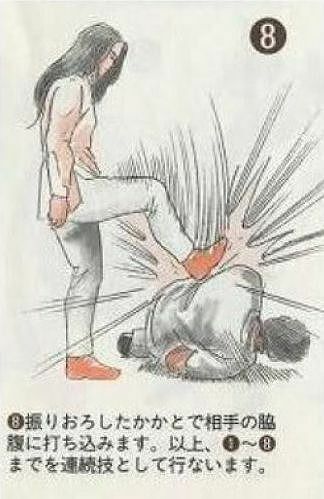 When the attacker falls down, hit him with your heel so hard, fast and consecutively.